There is an interest in assessing changes in nasal NO (nNO) levels as an effect marker of upper airways. In this study, we examined methodologic influences on short and long term repeatability of nNO levels assessed by a portable electrochemical analyzer. Nine atopic and eighteen healthy subjects were exposed for 4 h to ethyl acrylate concentration of 0.05 ppm (sham) and mean concentrations of 5 ppm (either constant 5 ppm or variable 0 to 10 ppm). Sampling of nNO was performed by using passive aspiration during both breath-holding (634 ppb) or calm tidal breathing (364 ppb, p < 0.0001). The intra-session (between-session) repeatability in terms of coefficient of variation was 16.4% (18.5%) using the tidal-breathing and 8.6% (13.0%) using the breath-holding method, respectively. 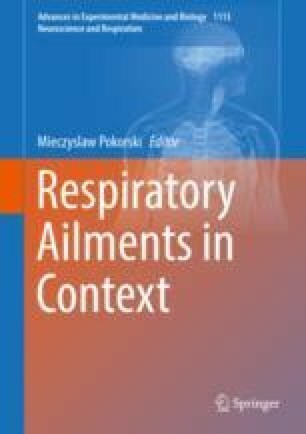 Atopic subjects demonstrated a significant increase in nNO (breath-holding mean 16%, tidal-breathing mean 32%) after applying a constant ethyl acrylate concentration (5 ppm). Our findings suggest that the less elaborate tidal-breathing method might be sufficient to detect significant changes at a group level. Given a lower coefficient of variation of breath-holding we assume there is an advantage of that approach at an individual level. Further research is needed to validate the usefulness of nNO in the evaluation of irritative, non-allergic responses.